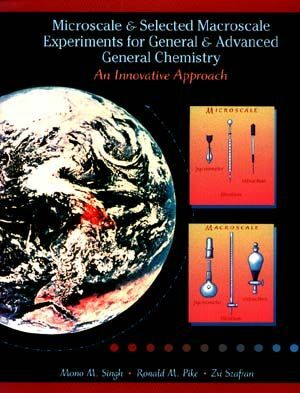 Mono M. Singh and Ronald M. Pike are the authors of Microscale and Selected Macroscale Experiments for General and Advanced General Chemistry: An Innovation Approach, published by Wiley. Safety Precautions in the Laboratory. Mathematical Methods and Manipulation of Data. Macro and Microscale Laboratory Equipment and ExperimentalTechniques. Report Writing and Maintaining a Laboratory Notebook. Physical Methods in the Laboratory. Independent Studies, Computers, and Research in UndergraduateLaboratories.